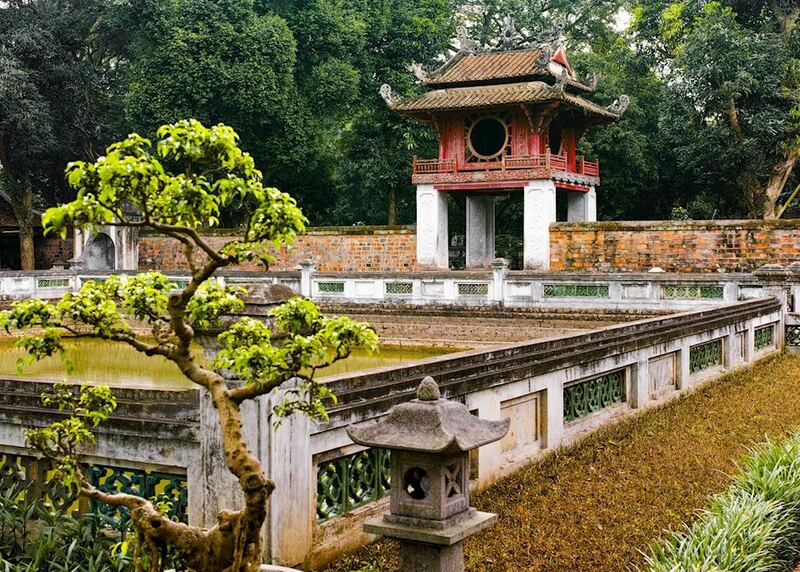 Today you begin your journey by boarding your international outbound flight to Hanoi. 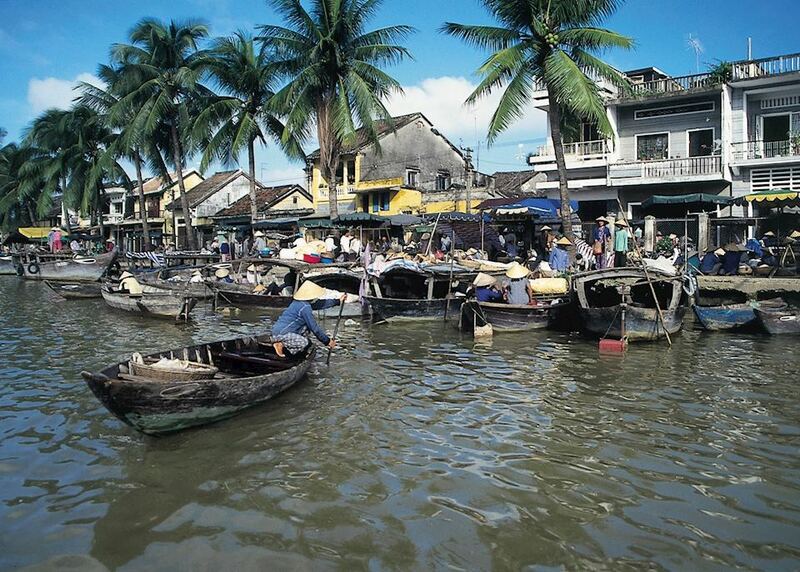 Upon arrival in Hanoi you're greeted by an Audley representative and taken to your hotel by private driver. Depending on your flight time, you might have some time free to explore this afternoon. 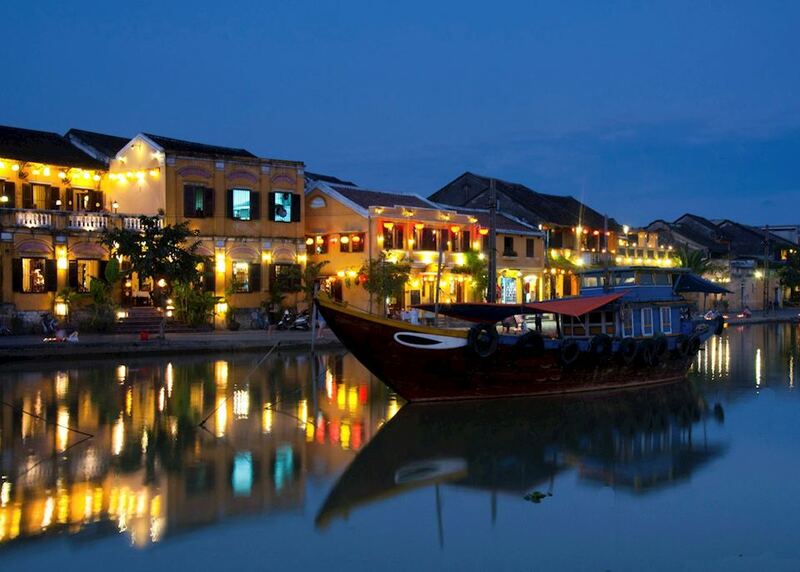 Your hotel is surrounded by an interesting selection of shops and cafes which provide a good introduction to cosmopolitan Hanoi. 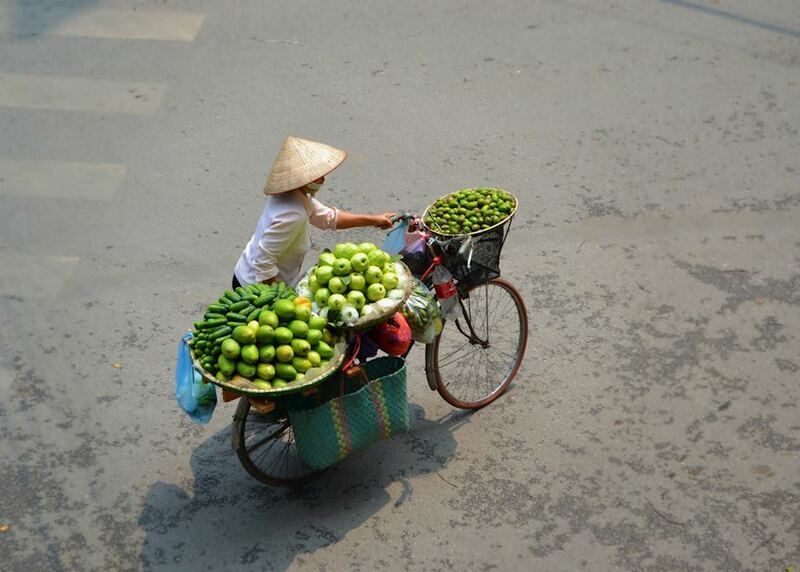 Today join a local blogger on a fascinating street food tour of Hanoi as part of a small group. 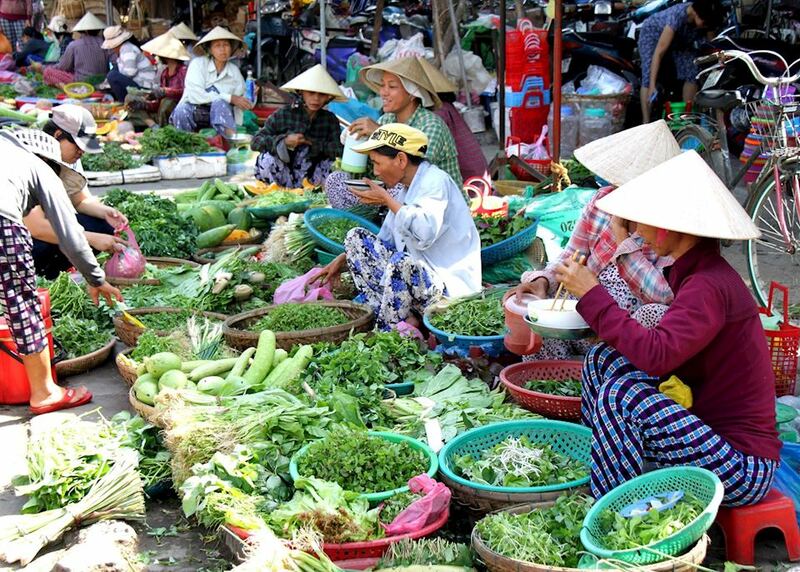 Strolling through Thanh food market you can try local delicacies, as well as being introduced to some of the more unusual ingredients used in Vietnamese cooking. This afternoon is free to relax, you might like to try the hotel pool or spa facilities. 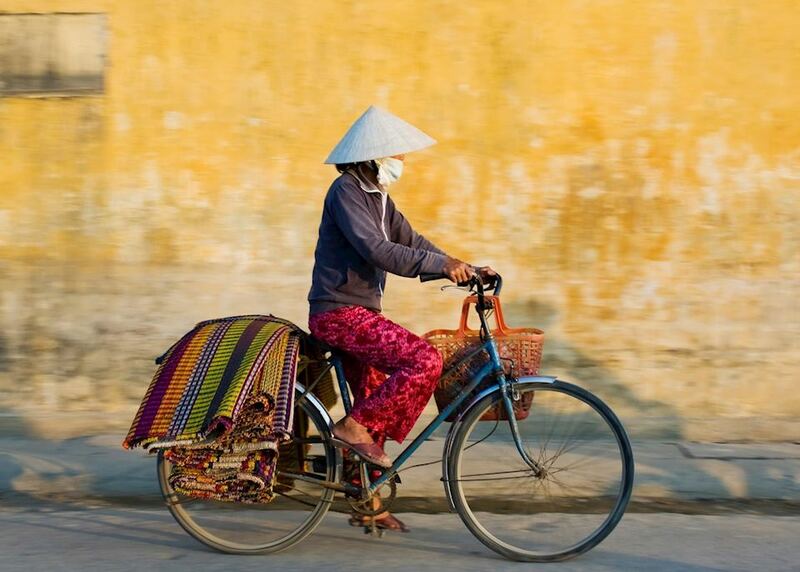 An early start today as your guide collects you to begin a private cycling tour of Hanoi. 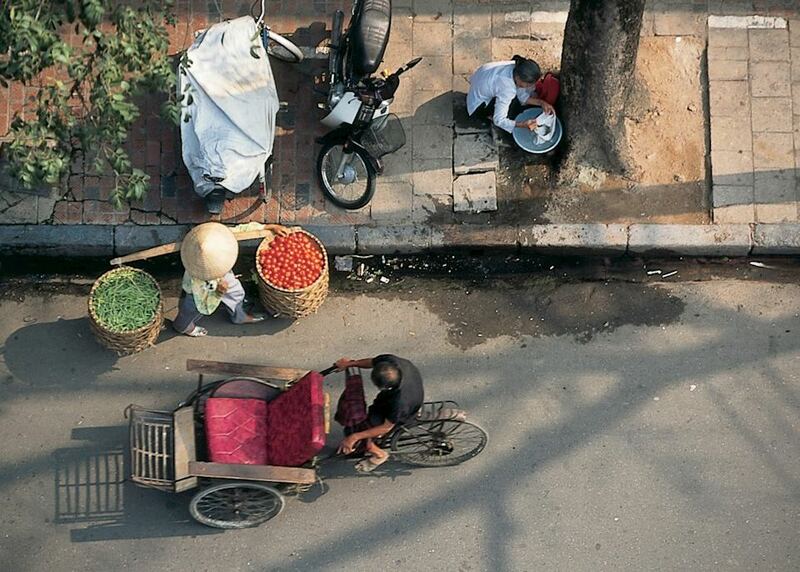 Witnessing Hanoi as it wakes is a particularly unique experience, with busy market traders, food deliveries and locals grabbing bites to eat on the street-stalls before work. The rest of today is free for you to relax, or explore the city a little more. You might like to wander through the tree-lined boulevards of the colonial French Quarter. 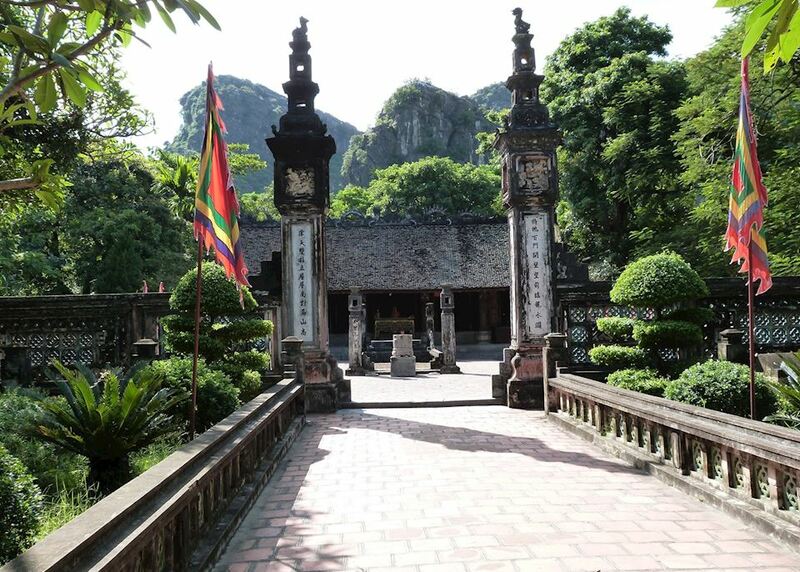 Be driven by private transfer this morning to the beautiful region of Ninh Binh, home to some stunning Karst scenery, rural villages and mysterious cave networks. 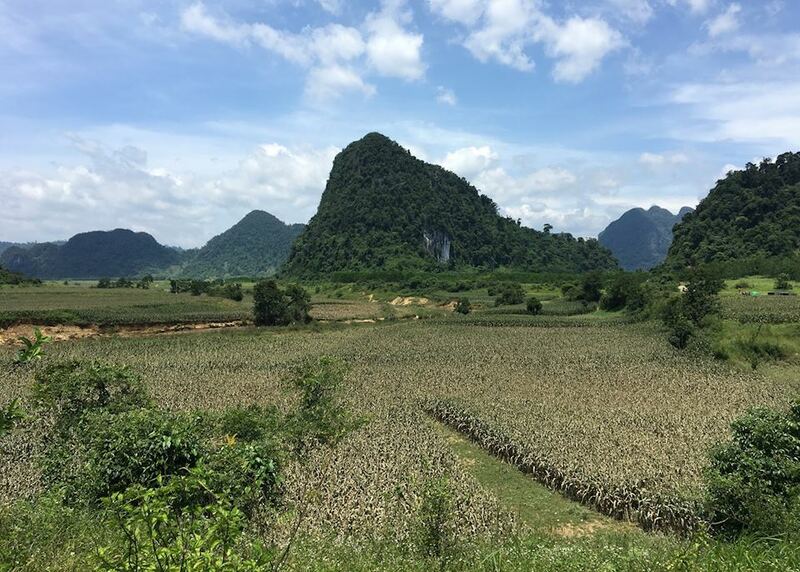 A journey of three and a half hours, you're following the highway so there's not a huge amount to see until you begin to see the limestone karsts jutting out of the horizon on nearing Ninh Binh. You're accompanied by a guide who will be able to suggest places to stop along the way to take refreshments if you wish. With the rest of the day free to relax, you might like to explore the organic farm surrounding your hotel, or explore the well tended gardens. 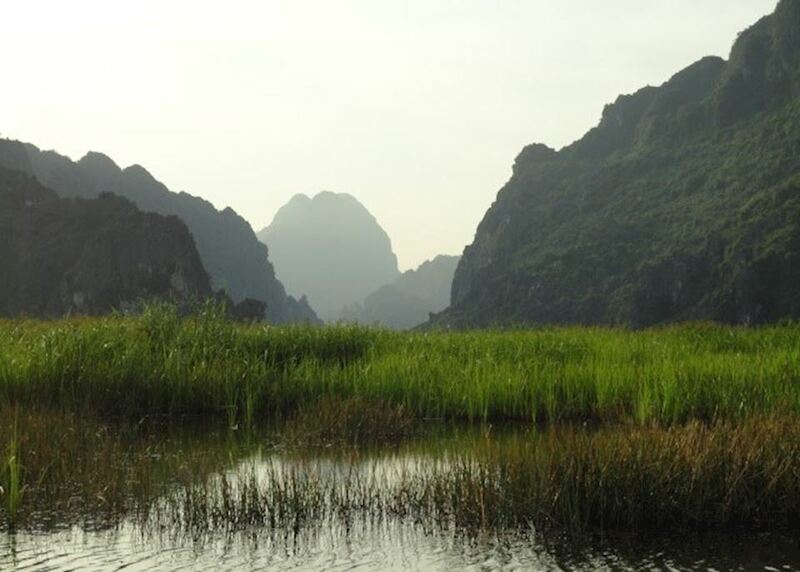 Stray off the beaten track this morning to experience one of the most spectacular areas in Vietnam. Navigating by bike on a private guided tour, you'll pass through tiny hamlets set amongst a stunning backdrop of colossal limestone art. 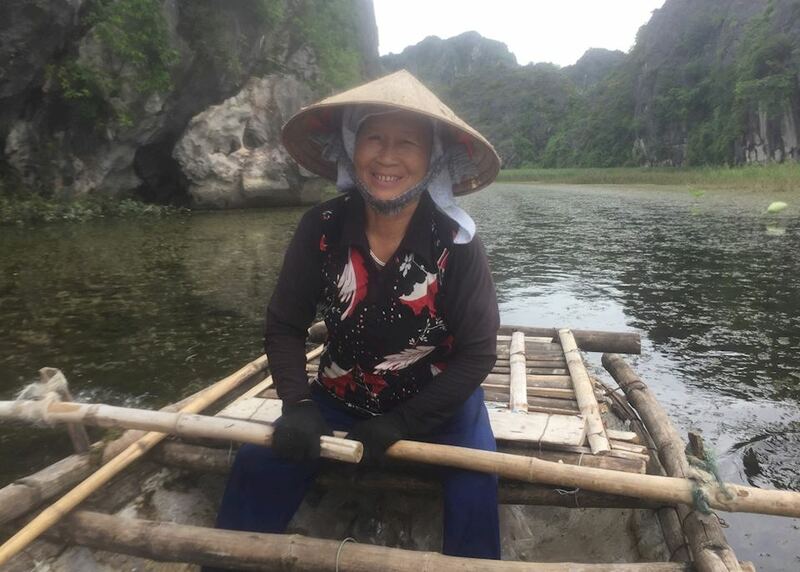 After meeting the locals and stopping for lunch, board a small boat which will travel deep into some of the most extensive cave networks in Vietnam. 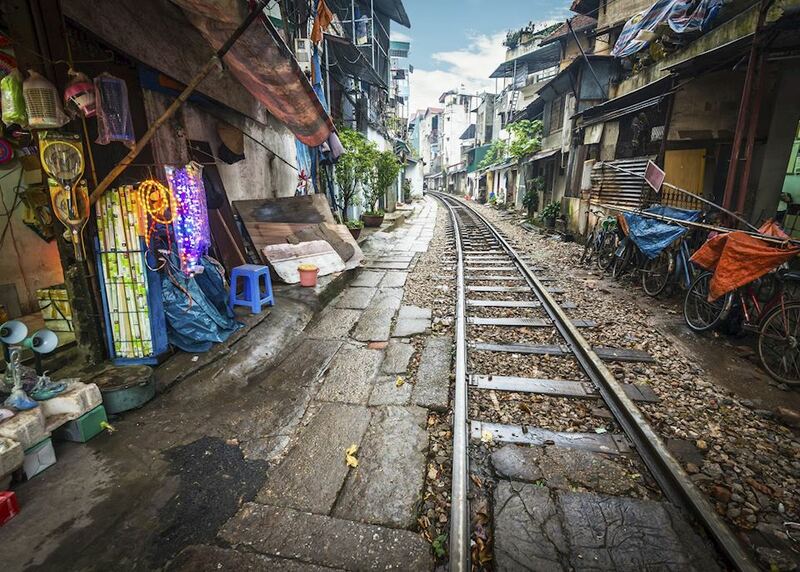 This evening you're collected from your hotel and driven by private transfer to board your overnight train which will travel south to Dong Hoi. 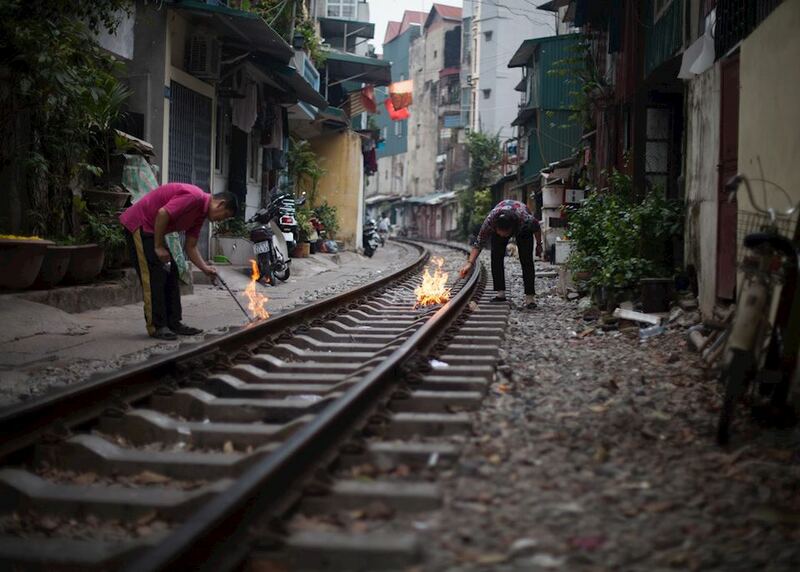 A guide is on hand to help you find the right train and settle in to your carriage. Arrival in Dong Hoi this morning to be greeted by your local guide and taken to your hotel for breakfast by private transfer. 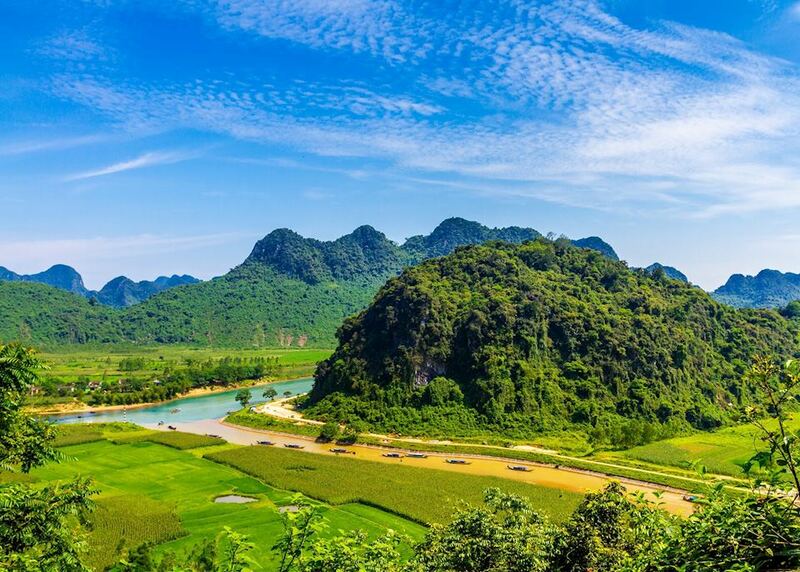 After some time to relax, you're collected from your hotel and driven an hour to Phong Nha-Ke Bang National Park. 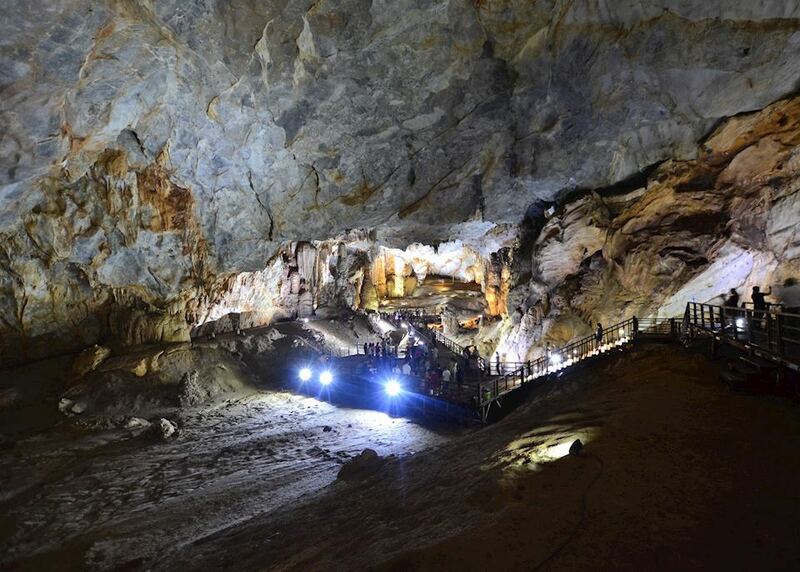 Paradise Cave is the longest cave in Vietnam, covering 31km (20 miles), with the first few kilometers open to visitors. 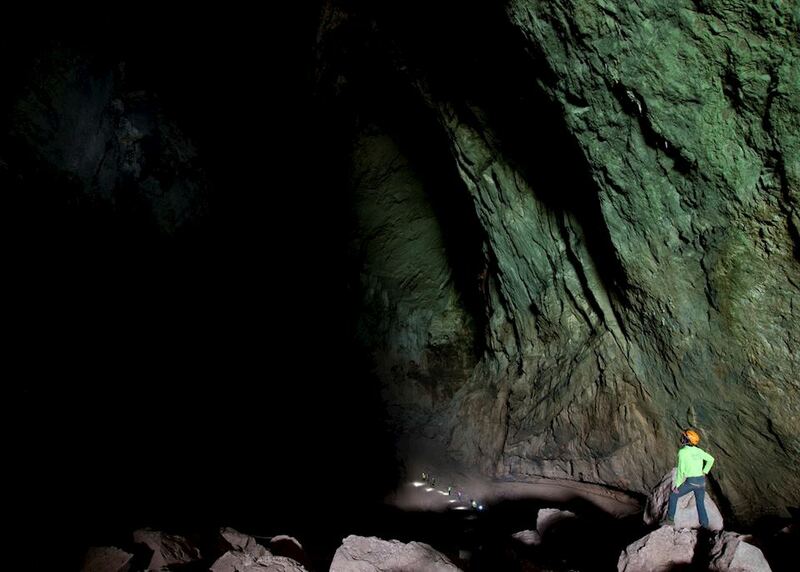 Accompanied with your private guide, you'll be able to explore the cave and its surrounding national park. 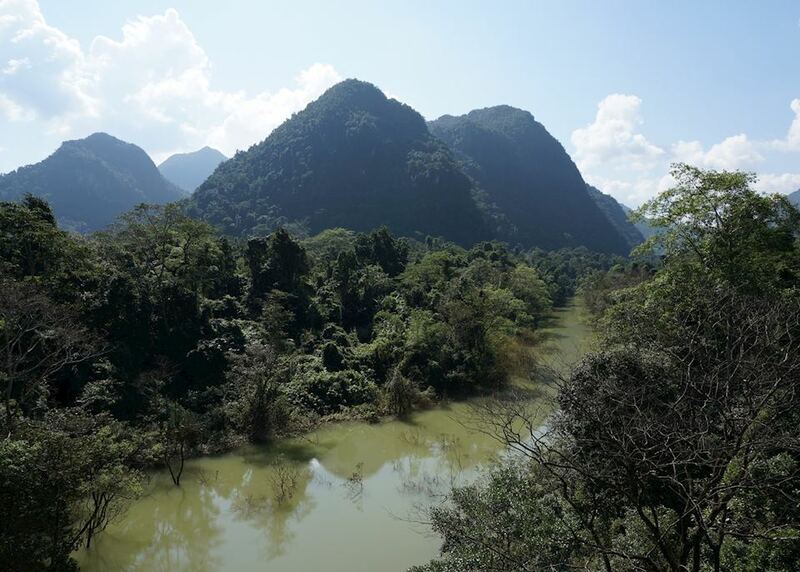 Embark on an unforgettable trek through Phong Nha National Park today, as part of a small group with an experienced guide. 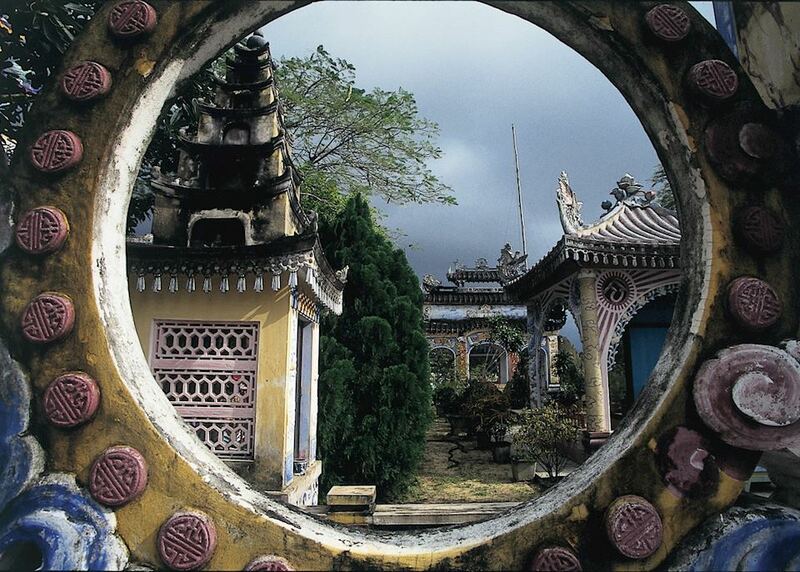 Today's trek is 15 km (9 miles) before arriving at the entrance to the world's third largest cave, Hang En. After a barbecue lunch, explore the cave system with your guide. Overnight in the cave itself. 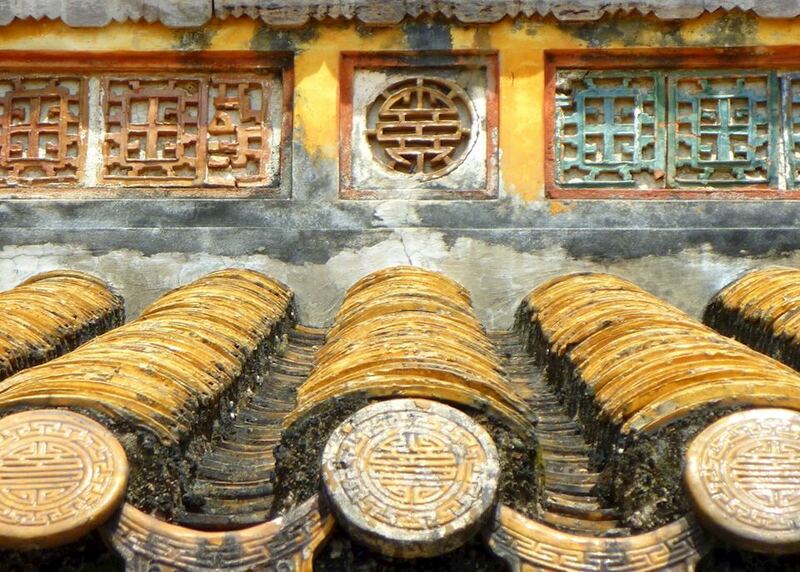 Spend the morning exploring Hang En before the arduous but rewarding trek back to the entrance of the park. You'll drive back to your hotel in a shared transfer, with the rest of the afternoon free to relax and recover from the trek. 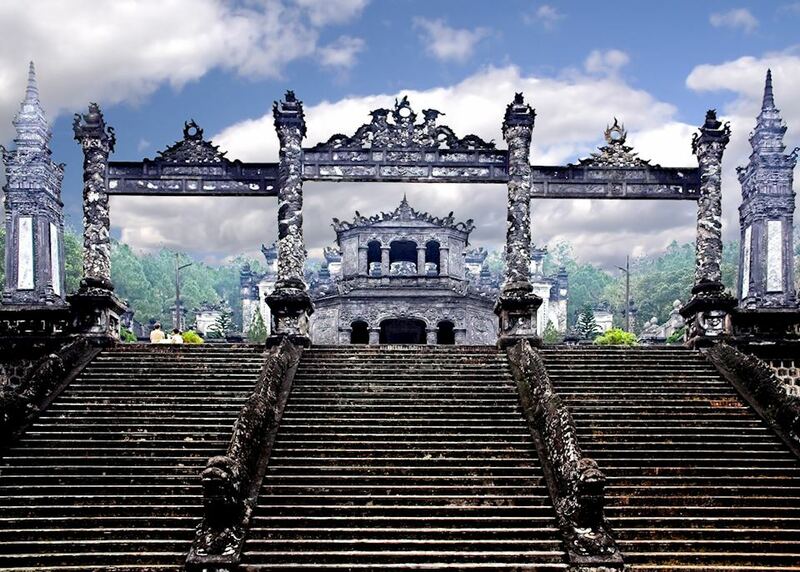 Leave the National Park behind today and journey south along the Ho Chi Minh trail to the imperial city of Hue with your private driver and guide. 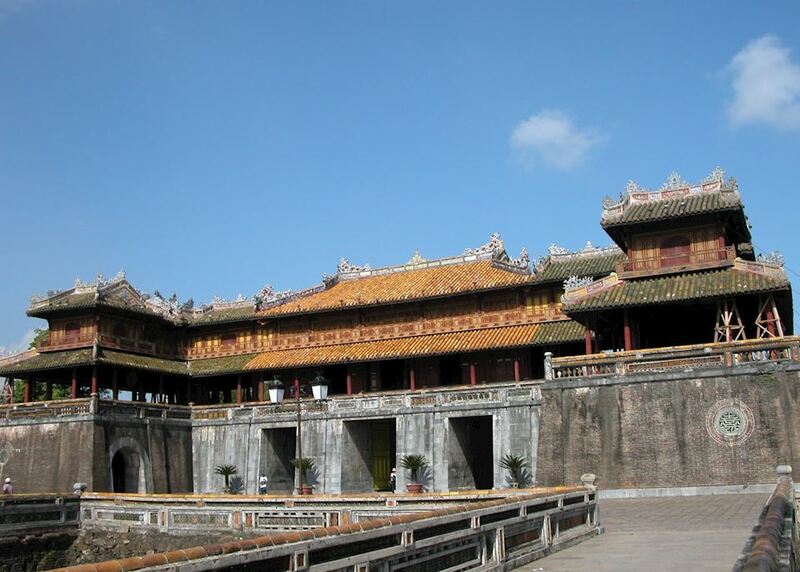 The infamous Vinh Moc tunnels make an excellent stopping point along the way, your guide will be able to show you where more than 90 families lived underground to shelter from American bombing. 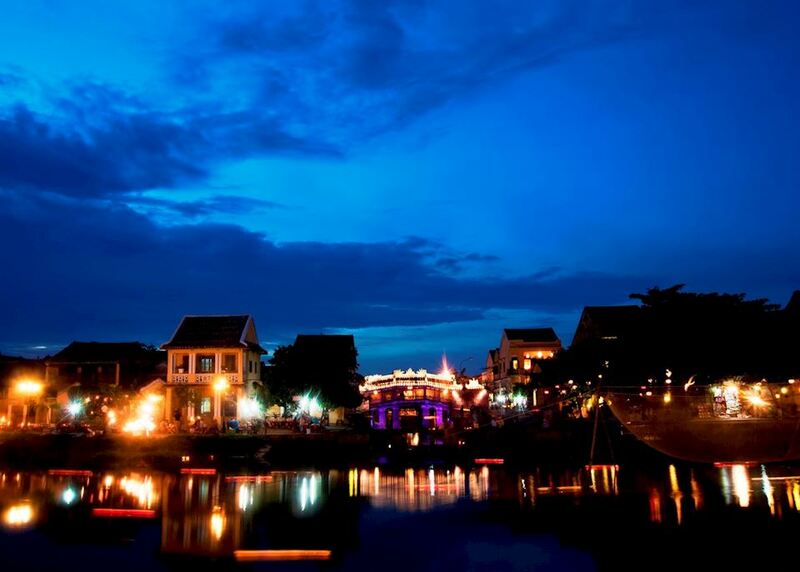 A full day today, you'll arrive in Hue in time for dinner. 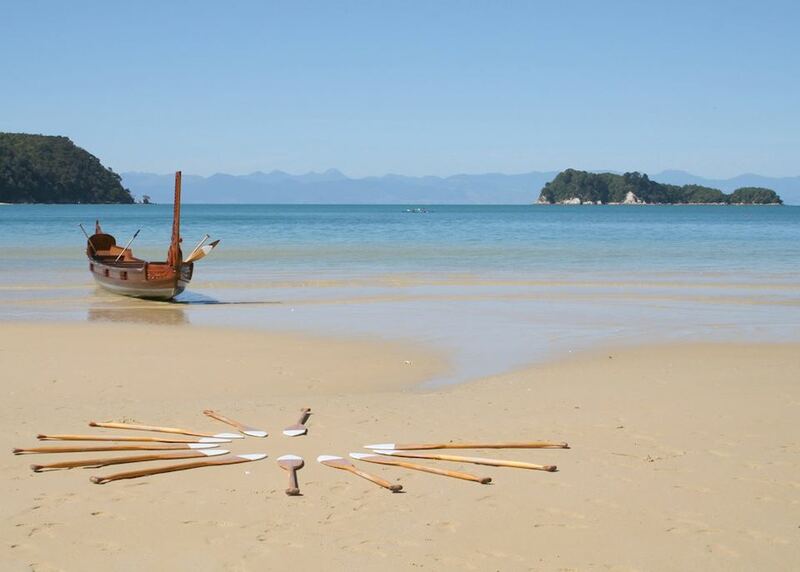 Today you're collected from your hotel and taken to the jetty in time to meet a dragon boat. 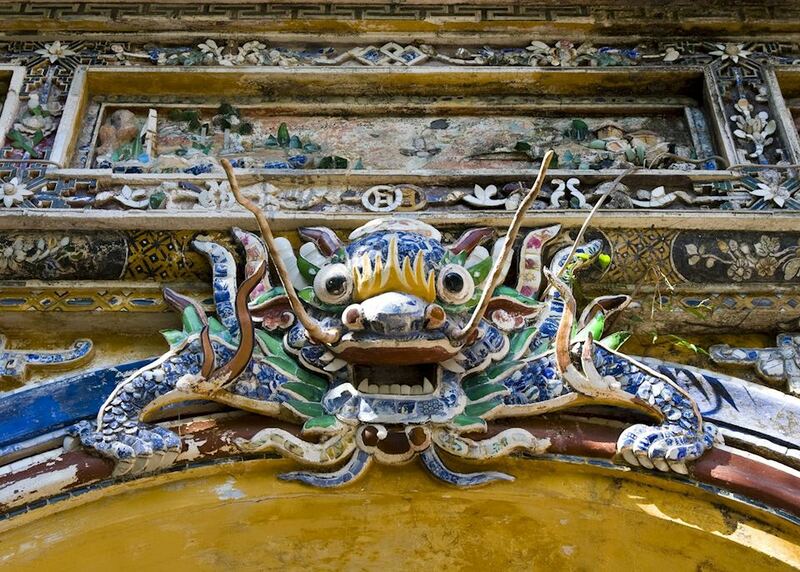 Cruising up the Perfume River, your private boat can stop to visit the Thien Mu Pagoda and Ming Mang's Mausoleum. 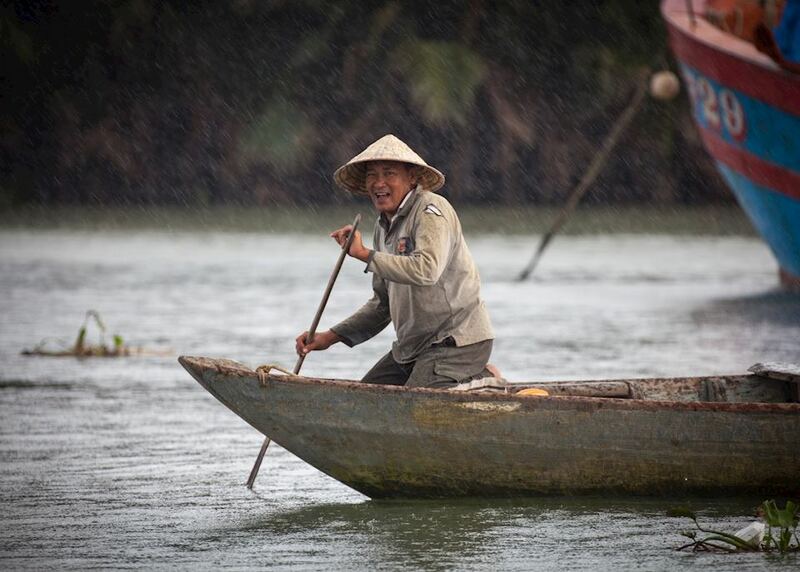 With a private guide on-board, you can explore these sites at your own pace. This afternoon is free to relax, or you may like to take a walk to the riverside near your hotel, lined with restaurants and small temples. 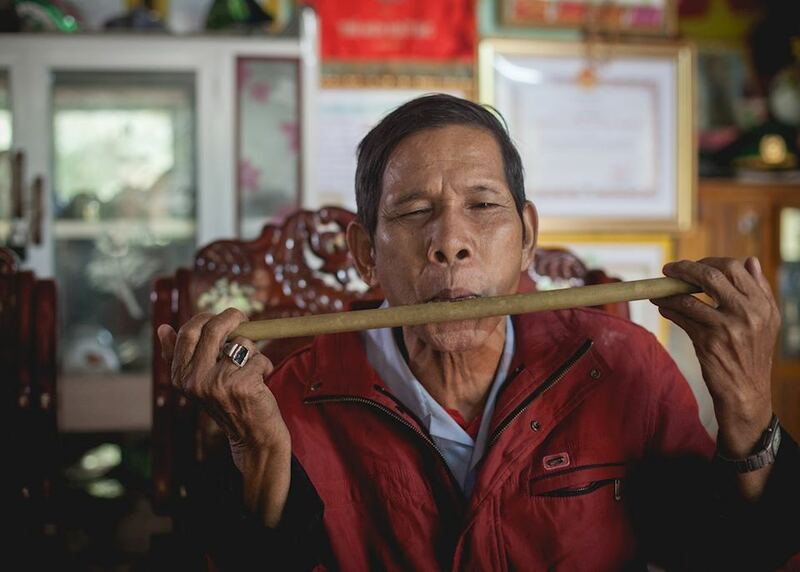 Stray off the beaten track today and experience rural village life as it once was with a fascinating insight into the Vietnamese Cot Tu minority. 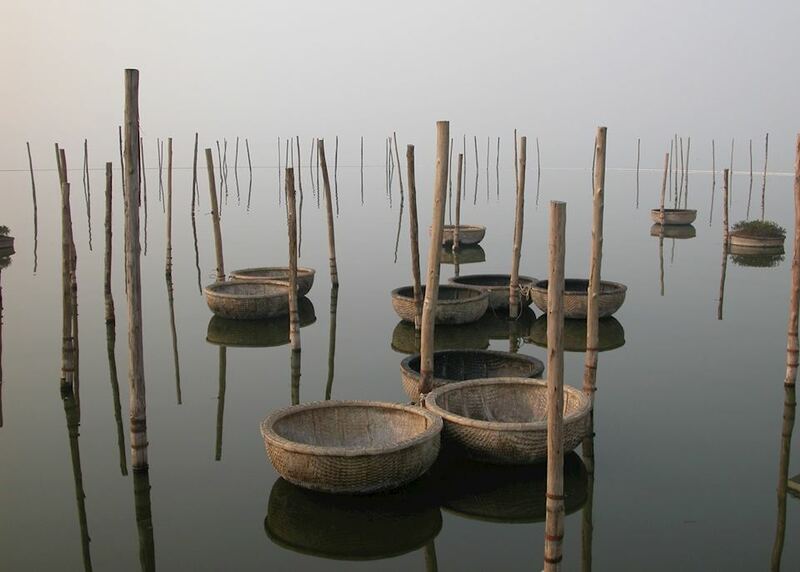 After being picked up by private driver, travel to the rural village of Bho Hoong, stopping along the way to explore if you wish, the journey taking around three hours. 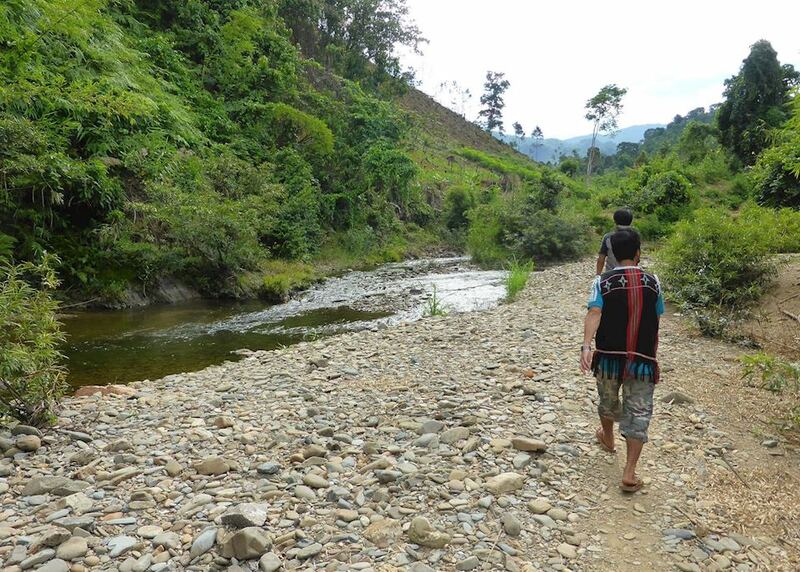 On arrival, your private guide is on hand to introduce you to local families and show you around the village. Overnight in a traditional bungalow this evening, with the chance to enjoy a communal dinner with local families. 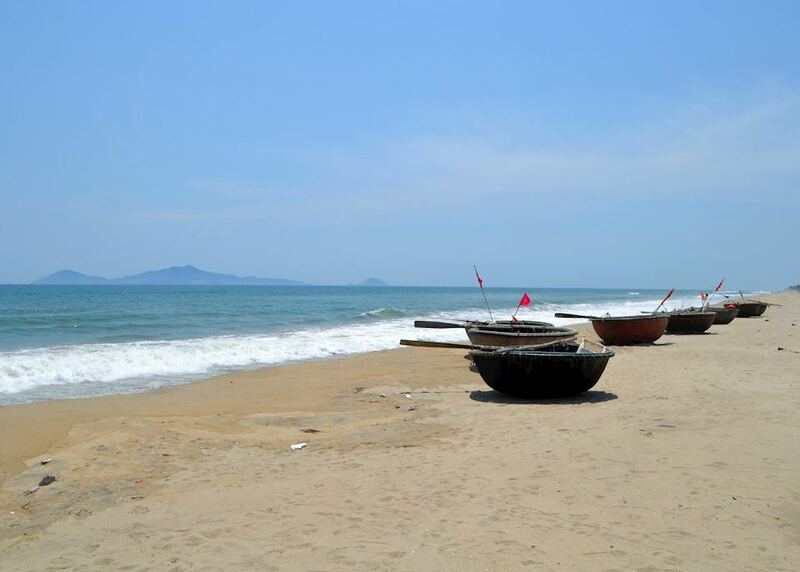 Leaving the mountains behind today, you'll journey back towards the coast accompanied by your driver and private guide, ending up in the charming UNESCO town of Hoi An, a journey of about four hours. 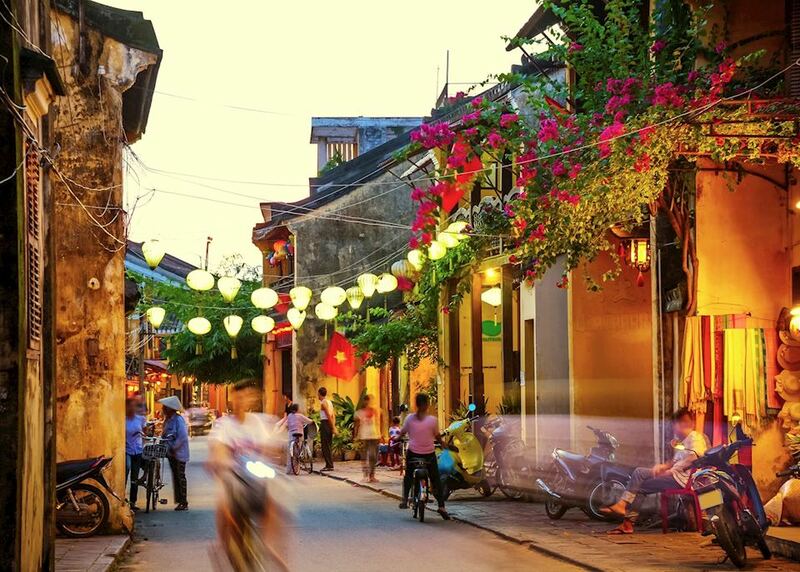 With the afternoon free to explore, you might like to wander to Hoi An's old town, which is arguably one of south-east Asia's best preserved 16th century trading ports. 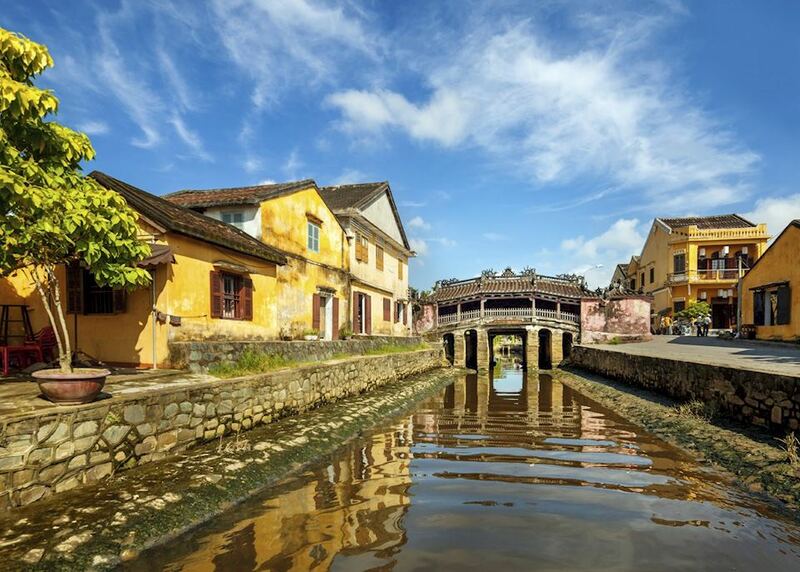 Explore the UNESCO town of Hoi An with your private guide on hand to offer his expert knowledge and help you unearth some hidden gems in this charming town which is best explored on foot. Afterwards take a drive out to the ancient Cham ruins at My Son; a scattering of Hindu temples which have been gradually reclaimed by the surrounding jungle. 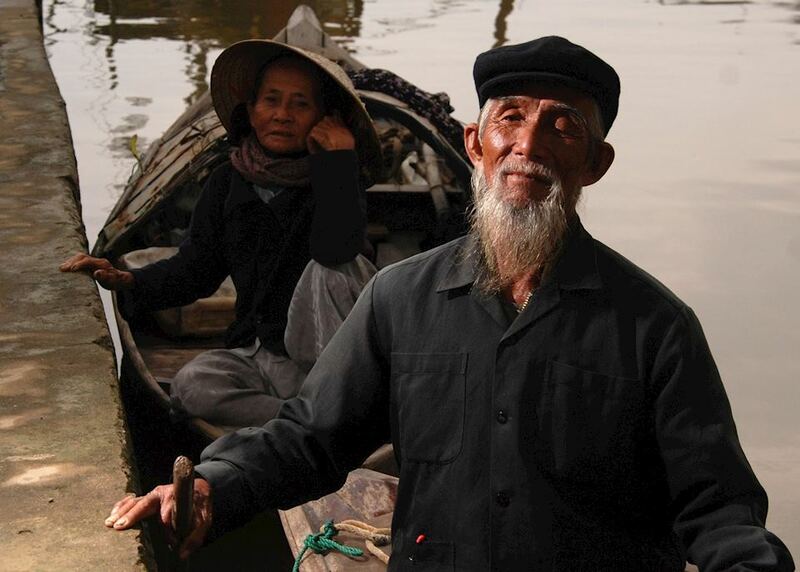 Head out on the water this morning on a traditional coracle boat to experience the everyday life of the Vietnamese fisherman. As part of a small group tour, you'll explore local fishing communities before trying your hand at catching your own. A fresh seafood lunch will be served on-board afterwards. With a free afternoon, you might like to explore some of the quirky shops and cafes surrounding your hotel. 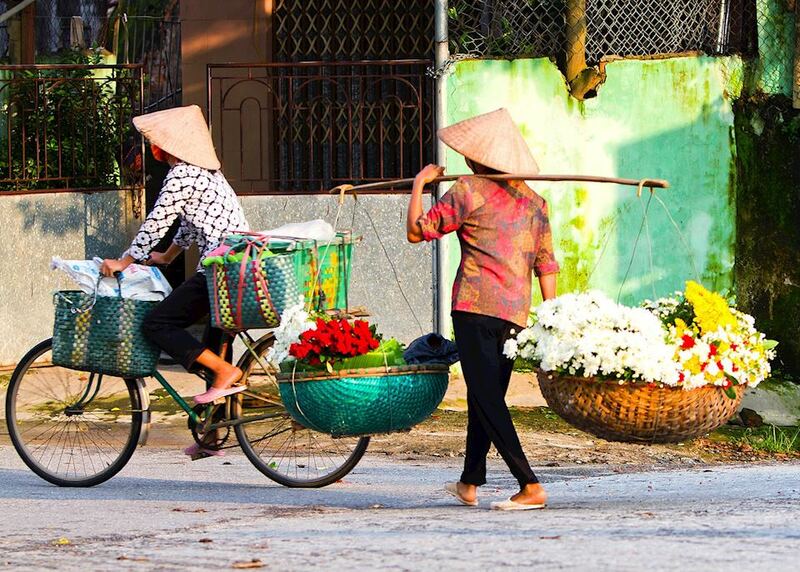 Today is free to explore Hoi An, with its maze of tiny cobbled back streets. 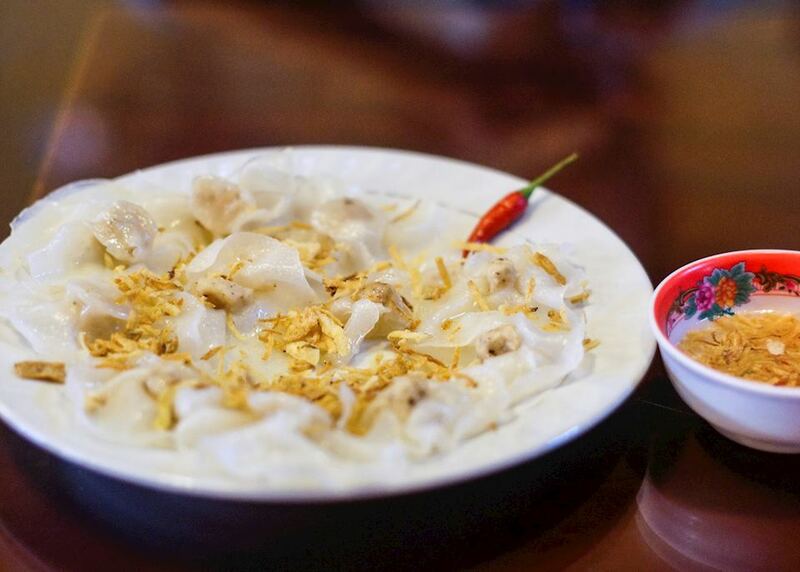 Perhaps visit one of the ancient merchant houses or try some of the delicious unique local cuisine, including Cao Lau and White Rose. Be collected from your hotel this morning and taken to the airport by private transfer in time for your onward flight. Your return flight will arrive the same day.